George Town is the capital city of Penang, an island state with the biggest Chinese population in Malaysia. But Penang was an important trade center for the British, and the city of George Town in particular, named after Britain’s King George III, is a fascinating testament to the mix of Asian and European influences that the island experienced over the course of its history. George Town’s multicultural past is especially enshrined in the city’s rich and eclectic architecture, filled with enchanting, historical buildings, mostly situated in the oldest part of the town. Elsewhere skyscrapers rise high above the city. 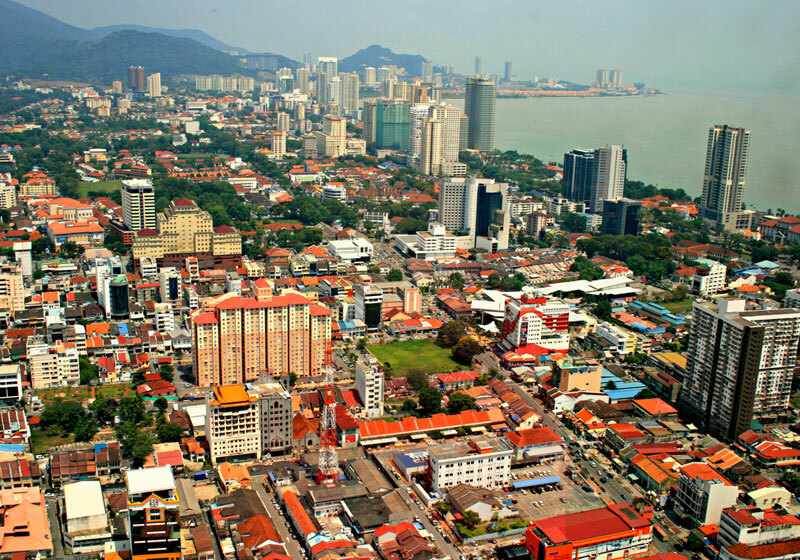 Short Description: George Town is the colorful, multicultural capital of the Malaysian island of Penang. Once an important Straits of Malacca trading hub, the city is known for its British colonial buildings, Chinese shophouses and mosques. Beyond the old town, George Town is a modern city with skyscrapers and shopping malls. Verdant Penang Hill, with hiking and a funicular railway, overlooks it all.